Do you own an iMac but need to run Windows applications? Did you buy an iMac for the beauty but want to run Windows on it? We can install Windows for you on your iMac as well as making sure all drivers are installed on your new Windows installation on iMac. Optimizing the new Windows installation so it runs perfectly. 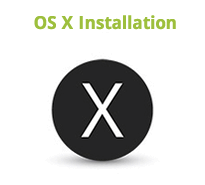 We can install Windows on your iMac either through Boot Camp or Parallels Desktop. We can install Windows OS for you usually in just a few hours if you don't require a backup of files. If you need to backup your data, it can take 1-2 days depending on the size of the backup. We are a true nationwide provider of Windows installation on iMac, Laptop professional repair services as well as iPhone repair. Besides repairs at our iMac installation on iMac, Laptop repair, PC Computers and laptop repair service center in Bellville Cape town, we have installed windows on iMac for customers all over South Africa including Johannesburg, Pretoria, Durban, Kimberly, Bloemfontein, Port Elizabeth, Polokwane, Pietermaritzburg and Nelspruit plus many other South African cities. If you would like to use our professional iMac windows installation services but don't live close to our iMac repair service center, click here for information on sending us your iMac for professional repair through our express courier service. The service price includes installing your licensed version of Windows and all updates, useful freeware utilities and software plus any software you have licenses for. There is an extra charge of R600 if you want your data backed up and returned in your new Windows installation.